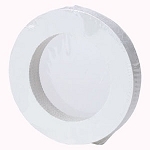 Popular non woven strips offer softness and comfort while efficiently removing wax and hair. •They resist tearing and shredding, may be trimmed to need, wax will not bleed through them, and they are cost-effective. Popular non woven strips offer softness and comfort while efficiently removing wax and hair. They resist tearing and shredding, may be trimmed to need, wax will not bleed through them, and they are cost-effective. 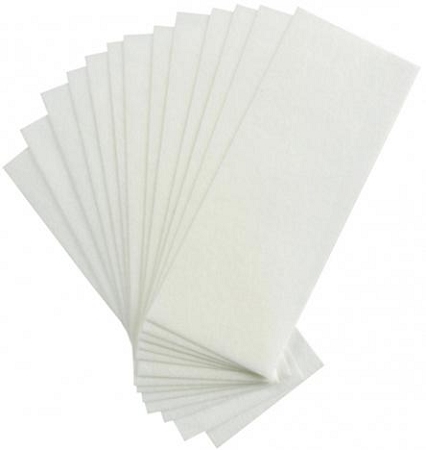 These are non-woven, soft waxing strips that work with any type of depilatory system. 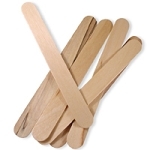 Use for facial or body waxing.